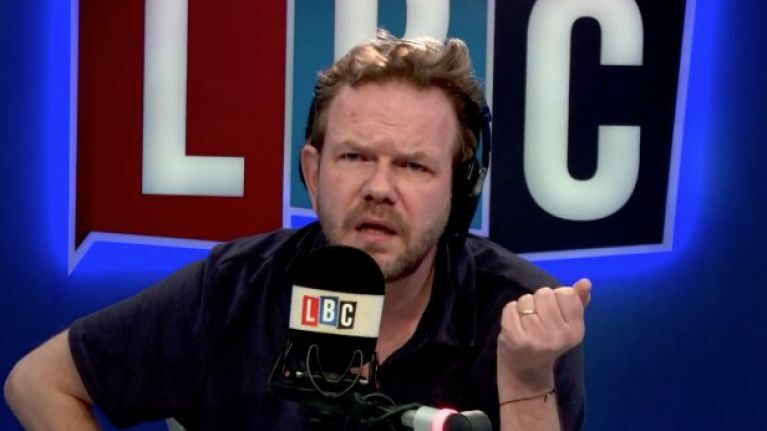 After proposals from the UK government aimed at avoiding a hard border were subjected to “a systematic and forensic annihilation” by senior EU officials in Brussels this week, radio host James O'Brien took a call from a listener with a quite inventive solution. Fronting his LBC show on Friday, O'Brien was in conversation with Peter from Bury who suggested that Irish people should be microchipped in a bid to solve the issue. "I've thought about this for years," Peter began. "Ireland needs to come together. To move forward, we have to come together. 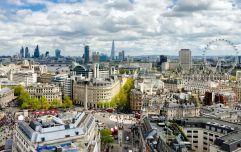 We want to stop the squabbling that is years and years old," he said. O'Brien countered by noting that the Good Friday Agreement went some way to solving the dispute. "And it's still going on," Peter retorted. "No, it's not," argued O'Brien. "It has enjoyed its longest period of peace for 500 years, arguably." Peter, who previously visited Ireland "about 15, 20 years ago," turned to football, citing Celtic and Rangers as examples of related turmoil. "Yeah, but they take on the Irish situation. It's still there," offered Peter. Later, talk turned to Brexit as O'Brien asked his caller what would happen with the border. "I heard somebody earlier say that we can go off number plate recognition," Peter began. "The only other solution would be if you microchip the population so you know who's in there." O'Brien, in a state of disbelief, asked if such a measure would be compulsory before Peter threw another idea his way. "The solution is to give a referendum to the whole of Ireland - do you want to come together as one nation, and also throw in the question; would you like to be dual nationality for the UK and Irish. The pound is very strong. I'd say the pound is even stronger than the euro." Finally, O'Brien could take no more. "The Irish people don't want a referendum on what you described," he said. "The Irish people are perfectly happy where they are. What are you talking about? "You think that the British government should force the Irish government to have a referendum on something they don't want to have a referendum on, and the alternative is to put microchips in them all because you went there 20 years ago and you've got an insight into their mindset built upon your knowledge of football in Glasgow." A heavy sigh followed, as the host asked a pertinent question. "On a scale of one to 10, how well do you think this has gone for you, Peter?"